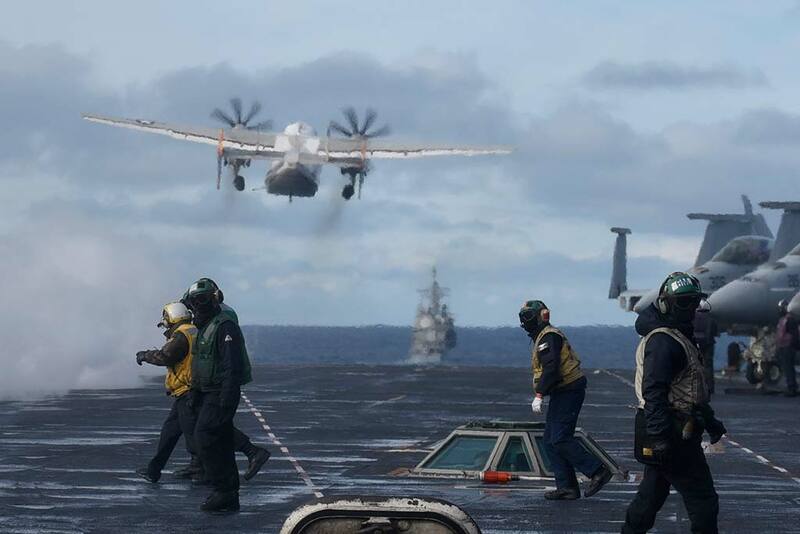 The strike group got underway Aug. 28, completing training exercises and carrier qualifications in the Atlantic, to include participating in dual-carrier operations with the Nimitz-class aircraft carrier USS Abraham Lincoln (CVN-72) and bi-lateral operations with the Royal Canadian Navy. The strike group which departed Norfolk, includes the flagship Nimitz-class aircraft carrier USS Harry S. Truman (CVN-75); the nine squadrons of Carrier Air Wing (CVW) 1; Ticonderoga-class guided-missile cruiser USS Normandy (CG-60); and Arleigh Burke-class guided-missile destroyers of Destroyer Squadron (DESRON) 28, USS Arleigh Burke (DDG-51) and USS Forrest Sherman (DDG-98). 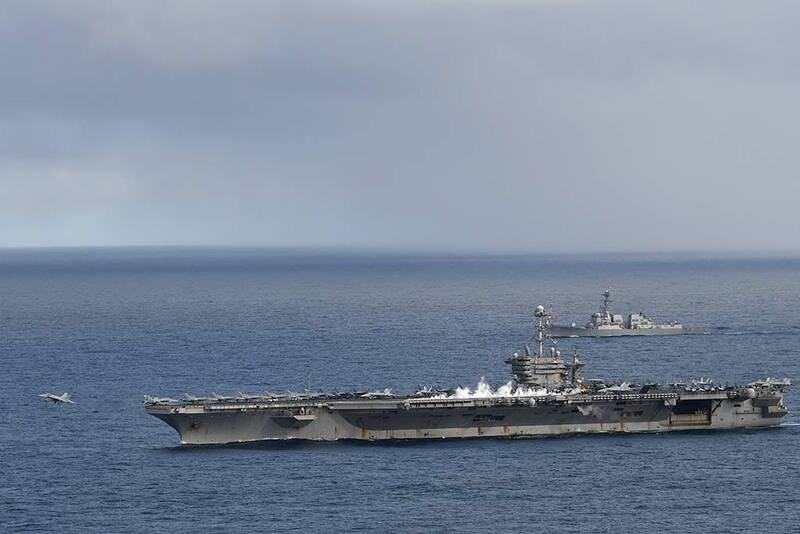 Other Harry S. Truman CSG assets operating in the region include Arleigh Burke-class guided-missile destroyers USS Bulkeley (DDG-84) and USS Farragut (DDG-99). 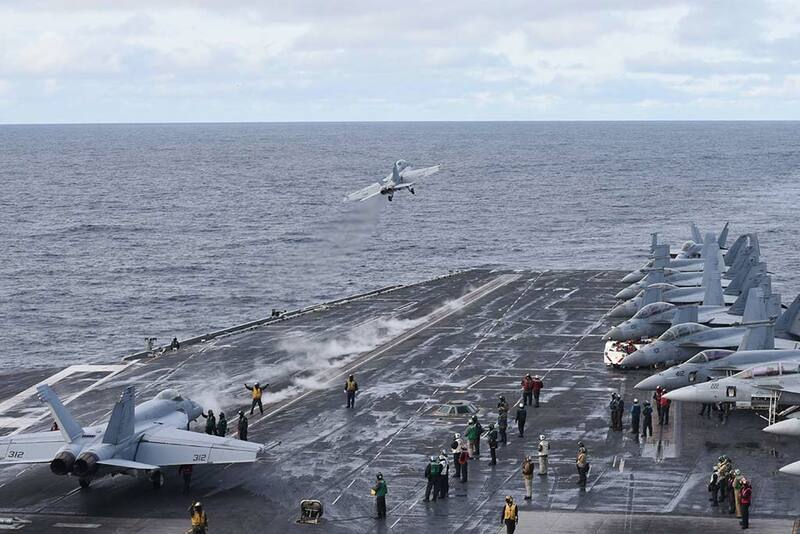 CVW-1 squadrons, embarked on Harry S. Truman include the “Red Rippers” of Strike Fighter Squadron of VFA-11; the “Checkmates” of VFA-21; the “Sunliners” of VFA-81; the “Knighthawks” of VFA-136; the “Rooks” of Electronic Attack Squadron (VAQ) 137; the “Seahawks” of Carrier Airborne Early Warning Squadron (VAW) 126; the “Proud Warriors” of Helicopter Maritime Strike Squadron (HSM) 72; the Dragon Slayers” of Helicopter Sea Combat Squadron (HSC) 11; and a detachment from the “Rawhides” of Fleet Logistics Support Squadron (VRC) 40.